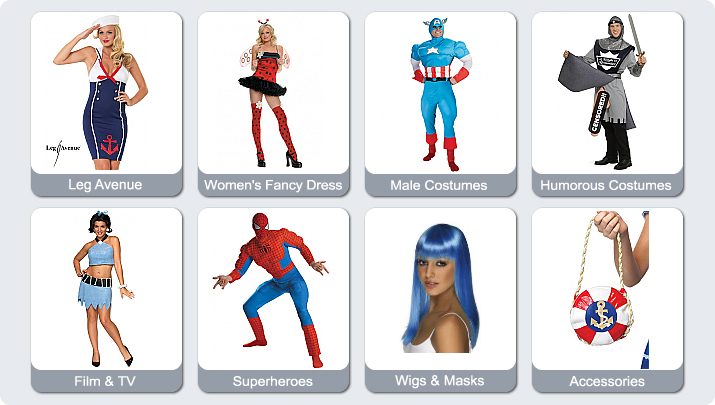 Here at Fun World Fancy Dress in Glasgow Scotland we have over 5000 fancy dress costumes and accessories. Our prices start from only £15, so no matter what the occasion you are sure to find a Fancy Dress outfit to suit you and your budget. Our Fancy Dress costumes are all of the highest quality and are thoroughly cleaned and ironed after use. We have too many Fancy Dress costumes to include them all on our website so we have chosen a selection of Fancy Dress costumes for you to browse. If you would like more information on any of our Fancy Dress hire costumes then please give us a call or drop us an email. New stock arriving daily from USA get in early to avoid rush!!! !